Take a look inside! You will love the âSulphur Springsâ William Poole floorplan offering an open floor plan and fabulous living spaces. 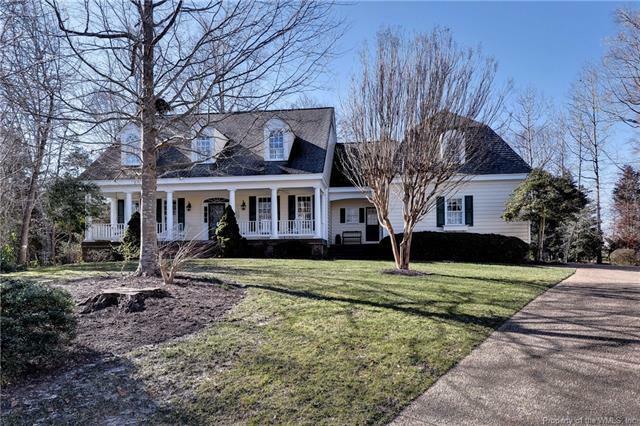 Centrally located on a quiet interior street, this beautiful home greets guests with a welcoming Southern Living full front porch and offers 3479 sq ft including 4 BR, 3 Â½ baths, spacious bonus room & a fabulous 3 season sunroom. The great room with gas FP opens to the kitchen & breakfast area and also to the sunroom. Light and airy kitchen with a vaulted ceiling features a center island, huge pantry, double ovens and generous breakfast area. LR and DR with hardwood floors and extensive moldings. Generous 1st flr MBR suite offers access to a private deck and features a spacious en suite bath with large walk-in closet. Upstairs 2 additional bedrooms share a Jack & Jill bath while bedroom 4 offers an en suite tiled bath. The spacious bonus room is accessed by the 2nd back staircase. Donât miss the extraordinary 3 season sunroom. Great outdoor living spaces include a composite deck and a private treed backyard. Side load garage plus 3 floored attics provides great storage.